It was nearly five years ago that I remember having a casual conversation with my food scientist father about the emerging trend of probiotics in the food industry. Having had a geeky knack for microbiology since high school, I found this trend to be especially intriguing, however, I was disturbed by my natural inclination to associate probiotics with medicine as the term sounds a lot like antibiotics. What reconciled this association for me was the visible growth of probiotic products on the grocery shelves. I found myself trying items like kombucha and kefir in lieu of iced tea and yogurt. The concept of probiotic was being marketed as a food remedy rather than a medicinal one. Over the past twenty years, there has been a renewed interest in probiotics and their role in the diet. The word probiotic literally translates into “for life” and is a fitting definition for its function. Probiotics are considered “good” bacteria that when consumed, function to repopulate and maintain the “good” bacteria in your gut. Our digestive system relies on these “good” bacteria to produce vitamins, regulate the pH of the gut, ward off pathogens, create and secrete antibacterial substances, and protect the mucous lining of the intestinal tract to prevent transfer of harmful microbes into the blood (10). From these functions it is clear that microbial balance in the gut plays an essential role in immune health. There is evidence that probiotics are beneficial in treating diarrhea associated with various causes (i.e. antibiotic-induced, chemotherapy), stimulating immune response, and reducing the presence of harmful substances in the gut. Research studies have strongly supported these probiotic benefits, however, other speculated benefits such as alleviated allergy symptoms, relief from irritable bowel syndrome (IBS), and cancer prevention warrant further research (11). Rather than reaping these benefits from a pill, foods that naturally contain probiotics are the best source as they are more readily absorbed and digested. Probiotics can be incorporated in the diet by consuming fermented dairy products like aged cheese, yogurt and kefir as well from non-dairy sources that contain the beneficial microbes including miso, sauerkraut, kimchi, kombucha, and tempeh (9). The following are excerpts on a few popular probiotic foods and the health benefits that they offer. Sauerkraut comes from the German words sauer meaning sour and Kraut meaning cabbage (5). It is a simple concoction of cabbage sprinkled with salt and submerged in water that can then be left to rest and ferment for a few days and up to a couple weeks. Due to the fermentative quality of sauerkraut, this condiment tops more than your bratwurst ritual. Sauerkraut as mentioned above contains probiotics including strains of yeast and bacteria such as Lactobacillus, Bifidobacterium, and Saccharomyces cereviciae. Further, sauerkraut is an excellent source of vitamins A and C, rich in antioxidants and glucosinolates all of which play a role in cancer prevention and it is full of polyphenols; nutrients that possess anti-inflammatory properties (1). If you enjoy the flavorful punch and nutritious qualities that sauerkraut imparts then you may be interested in learning more about including it in your daily eats. Although associated with pork sausage, sauerkraut can also be enjoyed in dishes such as slaws, soups, casseroles, breakfast hash, or sandwiches. Consider rinsing and draining the sauerkraut of its juices before adding it to your dishes to reduce the sodium content. Kombucha is thought to have originated in the Chinese culture over 2000 years ago. Legend has it that the Korean physician, Kombu used the tea to heal Japanese Emperor Inyko; hence the name Kombu’s cha (cha meaning tea in Chinese) or kombucha. This unique elixir is made from a symbiotic culture of bacteria and yeast, also referred to as a SCOBY (8). Other ingredients in the mix include some variety of tea (i.e. green, black, white) and sugar; some varieties add fruit juice for flavor. What is known is that kombucha contains the following acids: acetic acid, butyric acid, usnic acid, oxalic acid, malic acid, gluconic acid (not to be confused with glucoronic acid) and lactic acid (12). In general, these various acids are derived from kombucha’s probiotic qualities and hence promote digestive and immune health. Our diet does not necessitate the consumption of kombucha as its health benefits can be achieved through consumption of a variety of foods. But if you enjoy the taste of kombucha and are interested in making it your drink of choice over per say your latte ritual, try one of the commercial brands to test it out and see what you think. Miso means “fermented bean” in Japanese and can refer to many different pastes that are distinguished by their starting ingredients and the microorganisms used to ferment the primary ingredient: soybeans (3). The general fermentation process begins with steamed rice or barley that is inoculated with a filamentous fungus scientifically named Aspergillus oryzae and commonly called “koji.” Koji starter is added to presoaked and precooked soybeans to initiate a second fermentation to ultimately produce miso (3). Despite the challenges of researching miso as its own entity, there are some reliable facts that point to its nutritive value. Miso is considered a very good source of manganese and copper as well as good source of dietary fiber and protein and rich in antioxidants. And because it is a product of fermentation that involves beneficial bacteria (i.e. Lactobacillus) and yeast strains (Aspergillus oryzae) along with their metabolic byproducts, miso naturally promotes digestive health. Once again, our diet does not necessitate the consumption of miso, however, it is worth incorporating into the diet if you enjoy the taste and Asian cuisine that it is commonly paired with. Miso is not only healthful but a culinary gem as well. Cook Smarts Miso Butter Salmon! Kefir, pronounced kee-fer, is a cultured milk product that was discovered by ancient nomadic peoples of the Caucasus Mountains in Eastern Europe (2). In short, kefir is made by adding kefir grains (combination of symbiotic bacteria and yeast strains) to milk and then allowing fermentation to take place over a 12 to 48 hour time period. Proven to be an excellent source of probiotics, kefir contains exponentially more bacteria and yeast than its proponent, yogurt (4, 6). When compared to milk and yogurt, preliminary research has speculated that kefir may even be effective in improving lactose maldigestion (6). In addition, it is a substantial source of calcium and protein. One serving of low-fat plain flavored kefir (Lifeway brand) provides 11 grams of protein and 30% of your daily value for calcium (2, 13). Kefir can be incorporated into the diet like most other dairy products and makes for a delicious smoothie base, cream substitute for soups, casseroles or dips; and satisfying snack all on its own! Although there is still much to learn about probiotics, there has been a substantial amount of evidence-based research surrounding its health benefits. Probiotics incorporated in your diet can be one strategy for supporting your immune and digestive health. Pick a probiotic item that interests you and discover how its microscopic contents could make a sizable impact. If Hailey were an icon, she would be Lucille Ball. If a dessert, pumpkin torte. If a propensity, optimism, and if a cooking utensil, a classic wooden spoon. 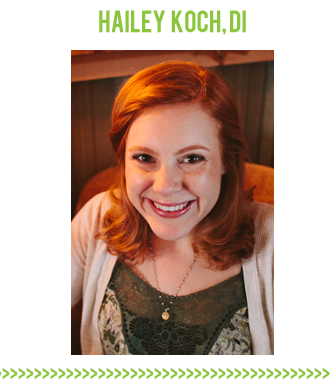 But as it turns out, she’s really just a young lady in love with a gracious man, making her temporary home in Napa and seeking her niche as a dietetic intern in the process of becoming a registered dietitian. To her, smiling at strangers and savoring memories is time well spent. Interesting post — probiotics have helped me with my own occasional stomach issues, so I’m definitely grateful to know about them & learn more. We like Bubbies sauerkraut, as we have heard some of the non-refrigerated sauerkraut is heated to such a degree that it kills off any beneficial bacteria. I guess that DIY sauerkraut is probably best, as Bubbies may even be flash pasteurized (?) I am not sure. But it’s the next best thing we could find… I think the same goes with Miso — if it is heated up too much, you lose the probiotic benefits, is that right? I guess that’s why they always say to stir it in at the very end, when the soup has settled and isn’t boiling anymore. Thanks so much for the post! I’ve wondered about Bubbies too and haven’t yet found the answer to whether or not their products are heated. Homemade is super easy and cheap! Since starting a vegan diet I’ve had trouble getting enough probiotics. I’m concerned about salt levels of sauerkraut, miso and tempeh; not to mention a reluctance to rely too much on soy. I’m unable to find sauerkraut that isn’t pasteurised at the supermarket 🙁 I’ve since tried coconut yogurt which is delicious but expensive. Hi Emily, if you are concerned about soy in miso, I have found that chickpea miso is a tasty alternative. Thanks for such an informative post on probiotics! Learning about the GI tract and its functions are so fascinating. Probiotics are definitely hot on the market these days, for good reason. I know they have personally helped me through my stomach issues and as an RD myself, I promote probiotic foods. Great read. and I love her bio 🙂 Yep, I tend to have digestive problems, so thanks for the reminder to get back on my kombucha and ACV habit. 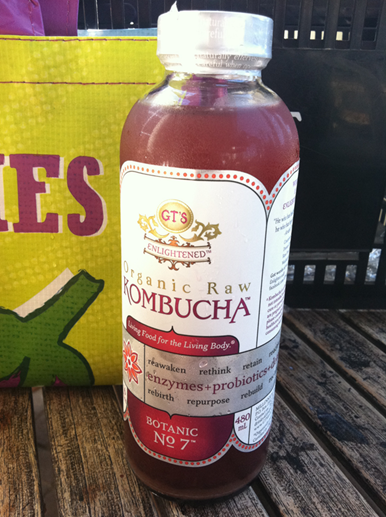 I love kombucha and am getting more into fermented foods! This was really fun and interesting to read! Sauerkraut was a staple in my house growing up because my mom is from Romania and they’re big on cabbage/sauerkraut-based foods and I’ve just now started to incorporate into my diet on a more regular basis. I love it! I should try some of these ideas! I’ve been taking probiotic supplements, but I have seen no difference 🙁 Maybe it’s the real food that I need to try! Great post! I appreciate the references. I love incorporating sauerkraut into my diet. It certainly is a cheaper, natural probiotic than the pills! I prefer Kevita to Kombucha. For some of my clients, I have found that since Kombucha is coming from a yeast, people with mold-related problems or candida might want to avoid it. I’ve tried drinking Kombucha occasionally as a replacement for an iced coffee or latte. I definitely have to drink it cold, but my stomach does feel much better after I drink one. I’ll have to start replacing my coffee runs with Kombucha runs. Great article! Not to be over critical, but it is pronounced ke-FEER, even though keefir is an alternate spelling. Yay! I loved this post! I was introduced to both KERF and the darling redheaded author of this post during my Freshman year at college, and I’ve loved them both ever since! Its important to differentiate between fermermented unpasturized saurkraut and the kind in a can that has been cooked and therefore has no live cultures. Also when preparing miso soup it is critical to not boil the miso, only use lightly simmering water so as not to kill the active cultures. Yeah, I was going to point that out, too. A lot of sauerkraut in the supermarkets is pretty boring stuff. It’s also super easy to make it yourself and more beneficial – there’s so much more diversity (every time you make it, too) and quantity of strains of bacteria and it helps that the strains come from your own environment. 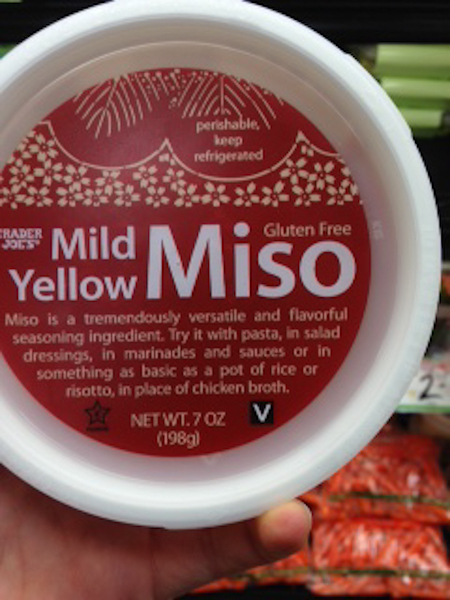 I have miso, sauerkraut together daily – I had no idea I was sipping on a probiotic powerhouse! Great post Haley! Very well written (love the bio). Do you have a blog?